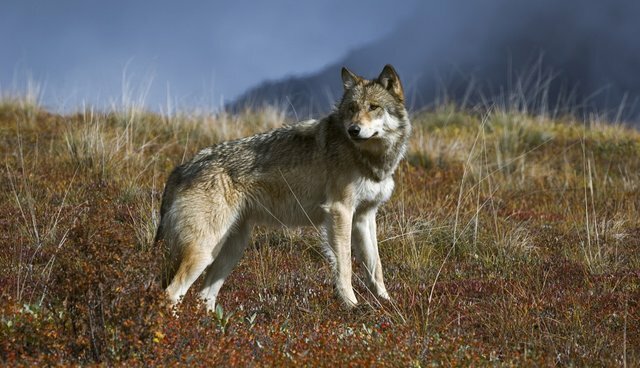 Today, more than 50 world-renowned wildlife biologists and scientists, many of whom have devoted their entire professional careers toward understanding the social and biological issues surrounding wolves in North America, sent a letter to Congress urging members to oppose any efforts to strip federal protections for wolves in the contiguous 48 states. If Congress were to take this adverse action, according to these scientists, it would upend two recent federal court rulings, which criticized the U.S. Fish and Wildlife Service for distorting the "plain meaning" of the standards of the Endangered Species Act and admonished several state wildlife agencies for conducting overreaching and dangerous trophy hunting and trapping programs upon federal delisting. The scientists, including Rolf Peterson and John Vucetich of Michigan Technological University, and Adrian Treves of University of Wisconsin, Madison, noted that "wolves are absent from most of the United States, with potentially secure populations in only a handful of states (Idaho, Montana, Wyoming, Wisconsin, Minnesota and Michigan). Yet, in those same states, the loss of federal protections resulted in state-sanctioned seasons on wolves at levels designed to reduce their populations to arbitrary goals, which were based on politics but not the best available science." Rather than removing wolves' protections completely, there is a better way forward. A federal downlisting to "threatened" would be a far superior option, allowing "lethal management to resolve wolf-livestock conflicts." Last month, The HSUS and 21 animal protection and conservation organizations petitioned the U.S. Fish and Wildlife Service to reclassify gray wolves as "threatened" throughout their U.S. range south of Alaska (except the distinct Mexican gray wolf subspecies in the southwest which should remain listed as endangered). It's the right compromise that balances the national interest in protecting wolves, while providing tools to federal and state agencies to allow selective control of wolves to address livestock and property damage. This past fall, Michigan voted overwhelmingly against the notion of a trophy hunting season on wolves – in the first ever statewide votes on the issue of wolf hunting. Those votes – in a state with major hunting and agriculture industries – are additional indicators that increasing numbers of Americans recognize the wide range of economic and ecological benefits that wolves bring. More than 14 million people have viewed the documentary, How Wolves Change Rivers, showing how wolves move sedentary deer and elk populations so they don't overgraze or browse. Wolves remove sick and weak animals, preventing slow starvation, and limiting deer-auto collisions and deer depredation on crops. By modulating prey herds, wolves act as a sort of barrier to chronic wasting disease and other infections that could cost the states millions of dollars to eradicate and in lost hunting license sales. And each year, thousands of wildlife watchers gaze at the world's most-viewed wolves in the Lamar Valley of Yellowstone, bringing in $35 million to the Yellowstone region annually. In the Great Lakes region, the International Wolf Center in Ely, Minnesota, brings in as much as $3 million each year from wolf watchers. Lawmakers should respond to common sense, sound economics, and robust science. We've had enough of fairy tales and fabrications and trumped up public safety charges against wolves. The reality is, they are hugely important in restoring the health of ecosystems and increasing the diversity of species. Wolves have their place, and with only about 5,000 of them in the lower 48 states, they should continue to receive federal protection.